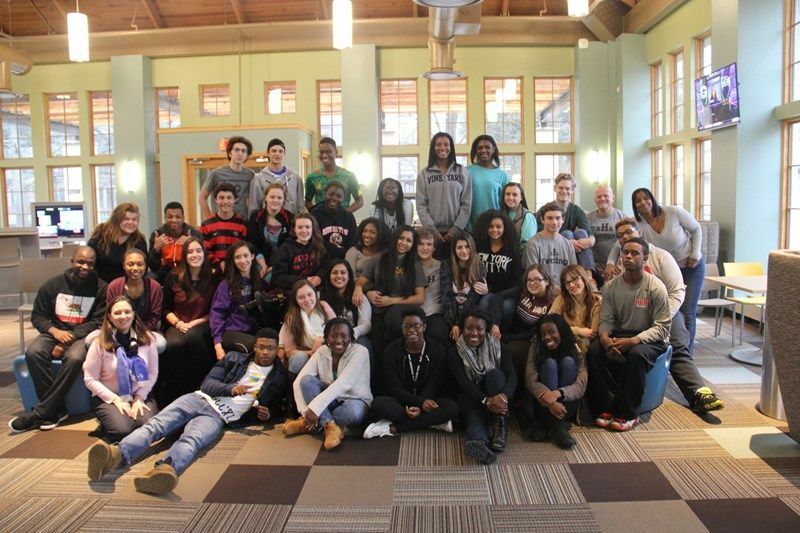 Thirty-five students at The Hun School of Princeton engaged in a weekend-long leadership summit January 16 – 18th exploring social justice, personal identity, and group dynamics. Through a series of activities and discussions, students considered power and privilege in society, and how to become effective allies for social equality and justice. Dr. King believed that every individual holds equal value and space in a community. By exploring personal identity and the identities of their peers, students modeled the lessons of Martin Luther King, Jr. as they considered conflict civility, resolution through dialogue, and living with moral courage. Otis Douce, director of cultural competency at The Hun School, led the summit. He was assisted by five faculty members, each trained to facilitate – Laura Bishop, Erika dos Santos, Steve Fabian, Dara Martin, and Meghan Poller ’95. “This is an intensive program that is designed to be, at times, intentionally provocative. We are teaching our students the importance of standing up for something in which they believe and how to affect others to join them. That is what Dr. King so famously did in his life, and those lessons are just as important today, as they were in the 1960s,” said Mr. Douce. Students were placed into smaller Core Groups where they worked with faculty facilitators to discuss topics such as social identifiers and personal identity, the power of media, and wealth distribution. The students also came together as a large group throughout the weekend to further discuss various topics. They participated in activities designed to help them become more comfortable dealing with conflict. Thirty-five students and six faculty facilitators participated in the MLK Leadership Summit in the Wilf Family Global Commons at The Hun School of Princeton.